I started by masking off a rectangle area on white cardstock with post-it notes, then sponged distress inks of Fired Brick, Spiced Marmalade, and Mustard Seed. Next I stamped the (retired) SU! Upsy Daisy image in Versafine black ink. 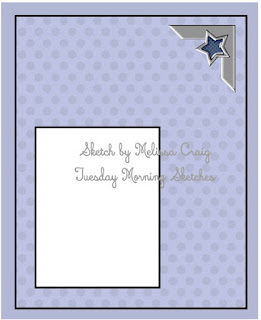 For the corner element I stamped 3 birds from a SNSS Serene Silhouettes stamp set. I added a sentiment panel with a MFP sentiment heat-embossed with white on black. I placed this all on a black mat and then a pumpkin pie card base. Thanks for dropping by and have a fabulous day! Total beauty! I haven't used that stamp is so long and now you've inspired me to do so. LOVE THIS! 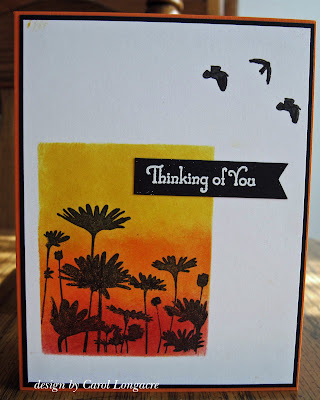 A fabulous card Carol, beautiful colours and super CAS design. 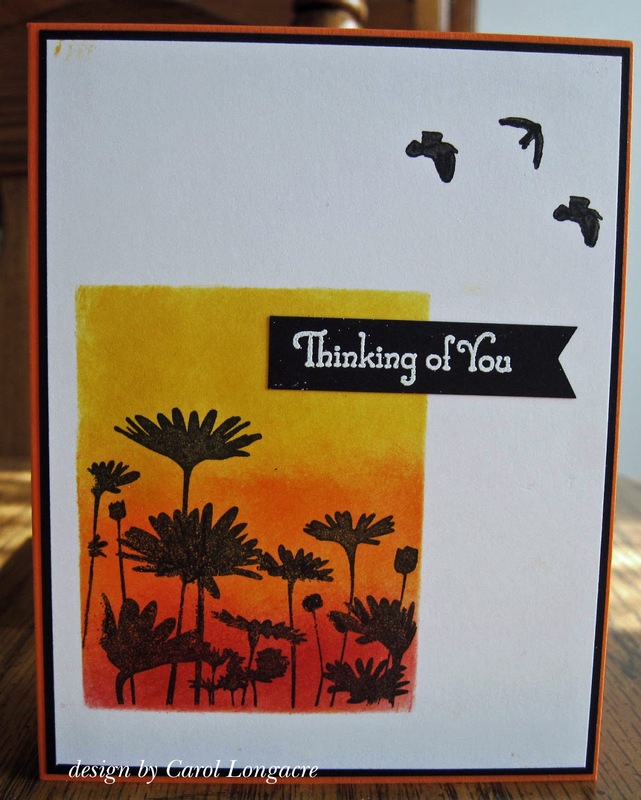 This is a beautiful card Carol, the colours you used look great and I really like the silhouette stamp. The birds in the corner are a super design feature. So striking!! Love the inked sunset and those flying birds outside the landscape!! Great CAS! Wonderful card! Perfect masking, no jagged edges or anything. I hope you are having a wonderful day! Gorgeous Carol, love the birds in the corner. I haven't played with this set it ages! Love the way you did the 3 toned background with it. Looks so pretty done that way! Great card! Such a beautiful and peaceful card. This is beautiful!! Sure doesn't look like you struggle with CAS! Lovely! I agree with all of the above Carol!! Love this technique and everything you combined. It would be perfect for sympathy and so many occasions! This is a gorgeous card! I love silhouette images and the sunset behind these flowers is beautiful.